Humans are consumers of natural resources, some of which are vital for own survival whilst others seem unnecessary. It is important when taking these resources we do so sustainably, thereby giving back to the environment, i.e. loggers replanting trees. Such sustainable practices are needed now more than ever in the face of climate change and wildlife threatened by extinction. We are not talking about just a loss of habitat but an ecosystem that acts as our lifeline. 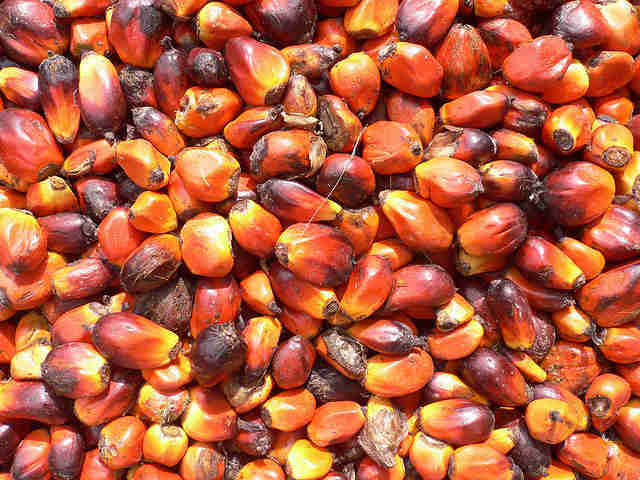 Palm oil is a cheap, edible type of vegetable oil derived from palm fruit grown on the African Palm Oil tree. Originally found in West Africa, oil palms were brought to Southeast Asia at the beginning of the 20th century whereby the demand for export rose from around 250,000 tons annually from SE Asia to now over 60,000,000 tons since the British Industrial Revolution. 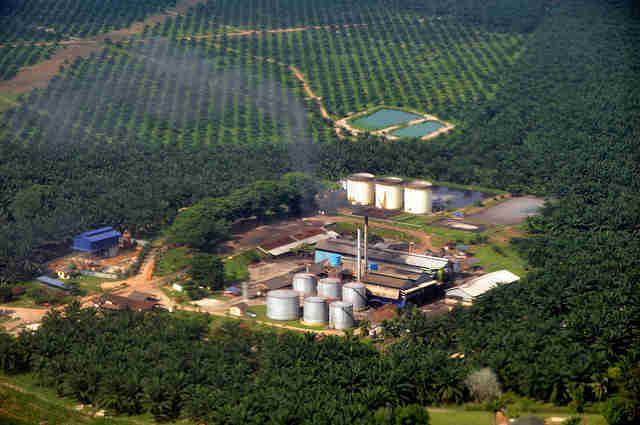 Malaysia was the world's largest producer of palm oil but it was not until the 1970s that the Indonesian government began investing into the industry. Therefore in 2007, this expansion caused Indonesia to be the lead producer supplying the majority of the world's growing demand. Palm oil is now globally produced, most of the time using unsustainable measures. Palm oil supplies over 30% of the world's vegetable oil production. Extracting the palm oil means destroying the environment; even though there are sustainable solutions, unsustainable as well as illegal practices still occur. Palm oil extraction causes deforestation, habitat degradation, climate change and animal cruelty. Even indigenous communities' rights are abused as their lands and forests must be cleared in order for the development of palm oil plantations that are needed to meet the global demand; World Wildlife Fund (WWF) says this scale is the equivalent of 30 football fields of destroyed rainforest each hour! Illegal fires occur on palm oil plantations in Indonesia which has previously caused one of the worst air pollution crises in Asia for decades according to The Guardian. Such human disturbance contributes significantly to climate change. The removal of the native forests by burning invaluable timber and the remaining forest undergrowth emits immense quantities of smoke into the atmosphere, making Indonesia the third highest greenhouse gas emitter in the world. Such events causing mass deforestation have been blamed for the impending extinction of orangutans and it's said that large scale deforestation is pushing many species to extinction. This oil can be found in approximately 40-50% of products on supermarket shelves which we use on a daily basis: baking goods, confectionery, shampoos, cosmetics, cleaning agents, washing detergents, toothpaste and different foods. 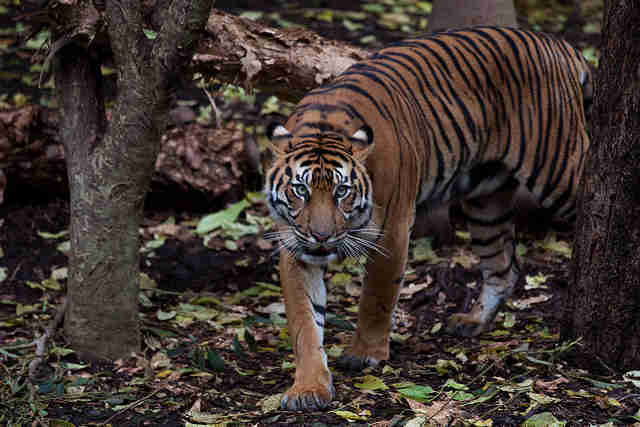 Indonesia is home to a third of all mammal species that are critically endangered as a result of the encroaching development on their habitat. A key species to conservationists in this case is a charismatic icon when it comes to deforestation, habituating both Borneo and Sumatra: the orangutan. Worryingly, over 90% of orangutan habitat has been destroyed in the last 20 years and the UN consider this as a "conservation emergency," with around 1,000-5,000 killed each year for this resource. 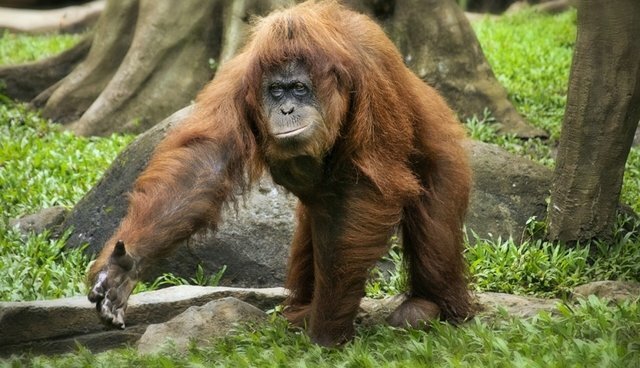 Many findings show if nothing changes, species like the orangutan could become extinct in the wild within the next 5-10 years and Sumatran tigers in less than three! 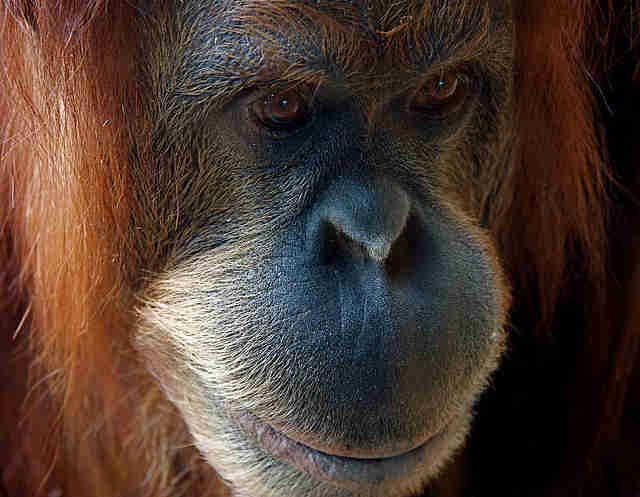 Orangutans are an important species to protect as they play a vital role in maintaining the health of the ecosystem. They help with spreading rainforest seeds whereby many can only germinate once passed through the gut of an orangutan, so therefore this particular primate's existence is crucial for the forest. Orangutans are not the only species affected, but their situation represents the story of thousands of other species facing the same fate in southeast Asia. There are over 300,000 different animals found throughout the jungles of Borneo and Sumatra - Sumatran tiger and rhinoceros, sun bear, pygmy elephant, clouded leopard, proboscis monkey - many of which are injured, killed or displaced during deforestation. 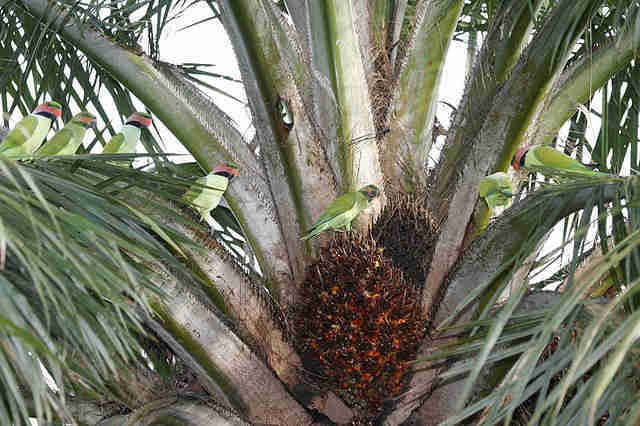 There are also indirect effects from palm oil development. Road networks that are constructed to allow access for palm oil plantation workers and equipment to the forest increase accessibility of these areas to poachers that are looking for these valuable animals. They are now able to sit and wait for their target where previously they had to trek through inaccessible areas of forest. Poachers and wildlife smugglers capture and sell wildlife as pets, use them for medicinal purposes or kill them for their body parts. 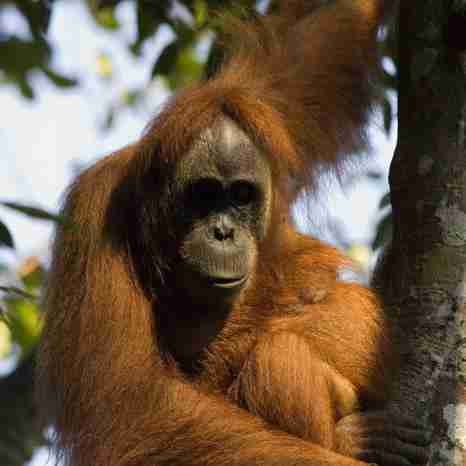 The destruction of rainforests in Borneo and Sumatra is therefore a major animal welfare crisis as well. Even wildlife such as orangutans have been found buried alive, killed from machete attacks, guns and other weaponry. Mother orangutans are also often killed by poachers and have their babies taken to be sold, kept as pets or used for entertainment in wildlife tourism parks in countries such as Thailand and Bali. The establishment of palm oil plantations is often promoted as a way of bringing in development to poor, rural regions of Borneo and Sumatra, and therefore society believes this has good economic impact for local communities. However, land owned by indigenous peoples is taken by governments for their own financial benefit. Consequently, this is said to be an industry linked to major human rights violations, including child labor in remote areas of Indonesia and Malaysia. 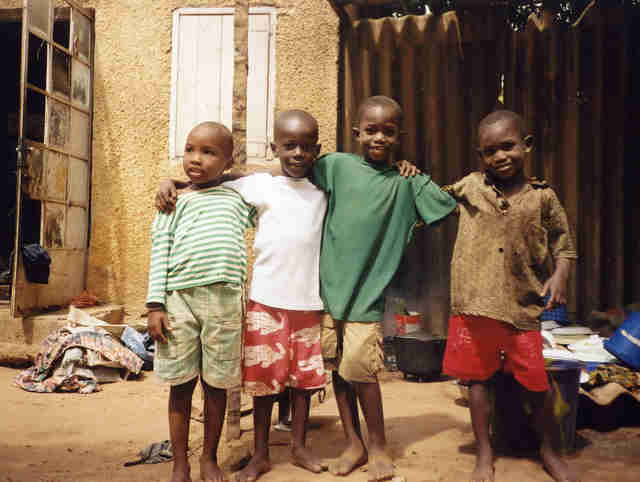 For example children are made to carry large loads of heavy fruit, weed fields and spend hours every day bent over collecting fruits from the plantation floor. Furthermore, heat exhaustion and cuts and bruises from climbing thorny oil palms are common, and more often than not, children receive little or no pay for their efforts. This leads to the fact that the locals have no choice but to become plantation workers as the practice systematically destroys the land that they so depend on. In addition to this, the communities are faced with poor and degrading working conditions, and they often earn barely enough income to survive and support their families. Instead of being able to sustain themselves, indigenous communities become reliant on the success of the palm oil industry for their income and survival, leaving these villagers incredibly vulnerable to the world market price of palm oil which they have no control over. There are some sustainable practices put in place where various stakeholders including WWF and Roundtable on Sustainable Palm Oil (RSPO) , are in close collaboration and have set their aim to produce palm oil without causing deforestation and harm to people, but there are far more that are not, so there is a lot still that can be done. There are some items we cannot avoid using on a daily basis, but there are others which we can purchase instead that are non-conflict palm oil products. Help reduce the demand! 1. Swapping: Check the ingredients of products before you add them to your shopping basket; alternatives generally contain Certified Sustainable Palm Oil (CSPO) or look for alternative ingredients to palm oil that don't have negative environmental and social implications. This sounds long-winded but once one shopping basket has been filled with non-conflict palm oil products, it will be easy to repeat next time you shop! There are logos below to help you what to look out for on certain products (here's WWF's list of products with palm oil). 2. Cut down and DIY: Reduce your consumption of these products by trying to make your own. This will help to remove conflict Palm Oil and other unsustainable vegetable oils from the shelves, in turn making companies act. For other ideas to help such as using your voice or donating, check out Say No To Palm Oil. I am an intern at Frontier, an international non-profit volunteering NGO. Frontier has over 300 dedicated conservation and community development projects as well as plenty of inspiring www.frontier.ac.uk/Volunteer/Volunteer.aspx?utm_source=TheDodo&utm_medium=gapyearblog&utm_campaign=BlogArticle">gap year ideas to help make your time out meaningful. For more information on all the opportunities available please visit www.frontier.ac.uk. Check out Frontier's blog 'Into the Wild' where you can read more articles like this! Get more from us on social media with Facebook, Twitter, and Pinterest. See more from volunteers on YouTube, Flickr and Instagram #FrontierVolunteer.